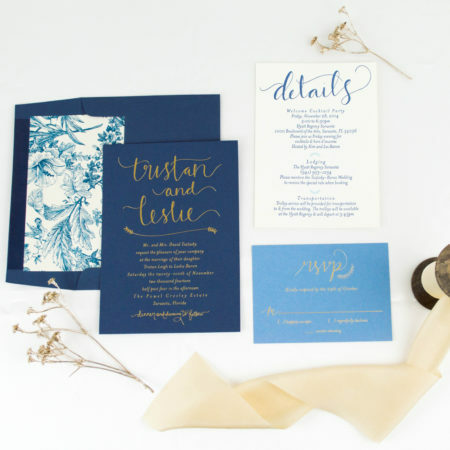 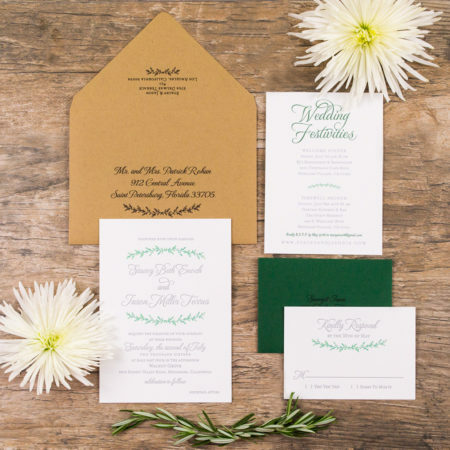 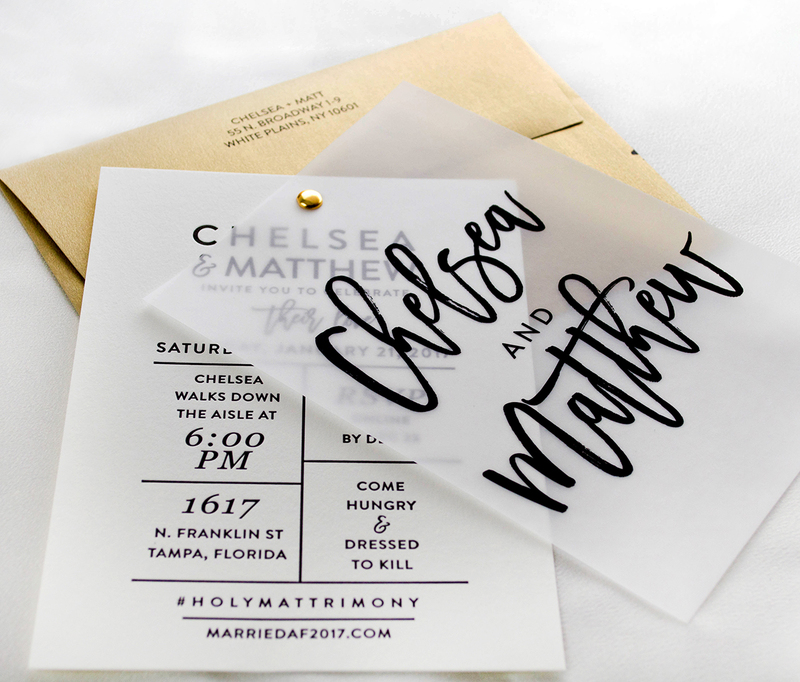 This bride and groom wanted a clean, contemporary design with an artistic touch and a focus on modern typography. 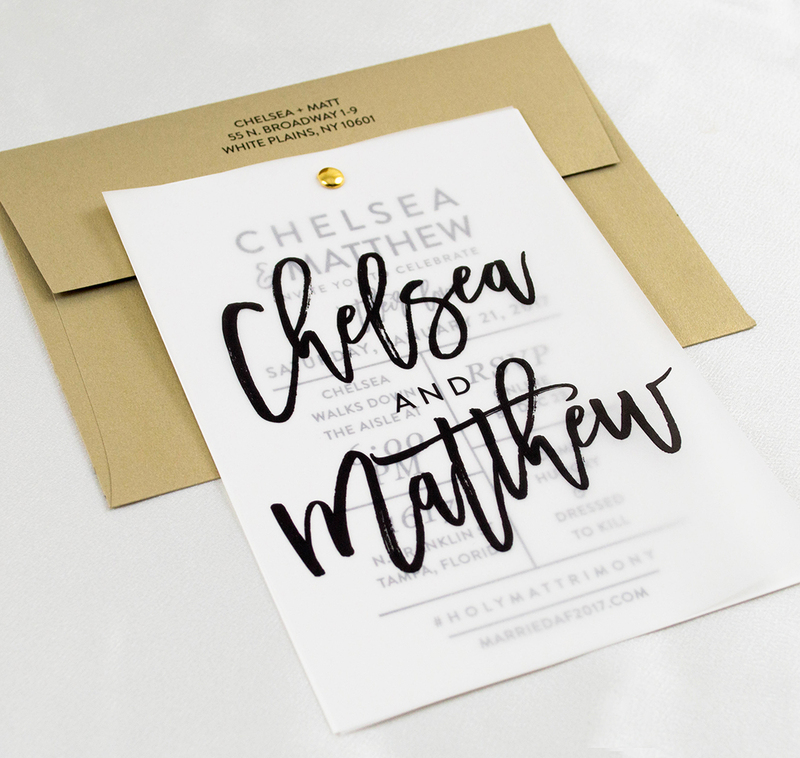 To bring their vision to life, we combined a simple typeface font with a modern calligraphy script. 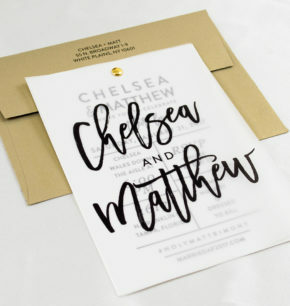 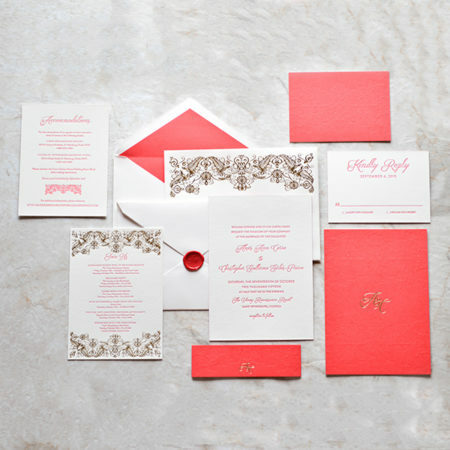 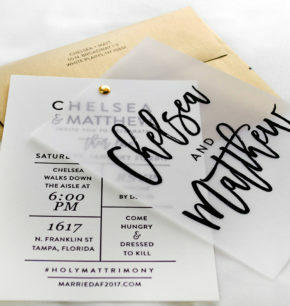 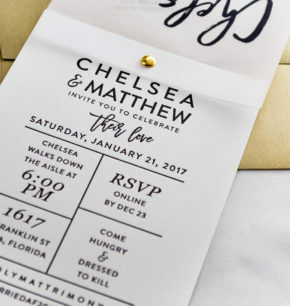 We created a design highlighting a symmetrical, minimalist look, and we incorporated an artistic touch by displaying their names in the fun calligraphic font on the cover of the invitation. 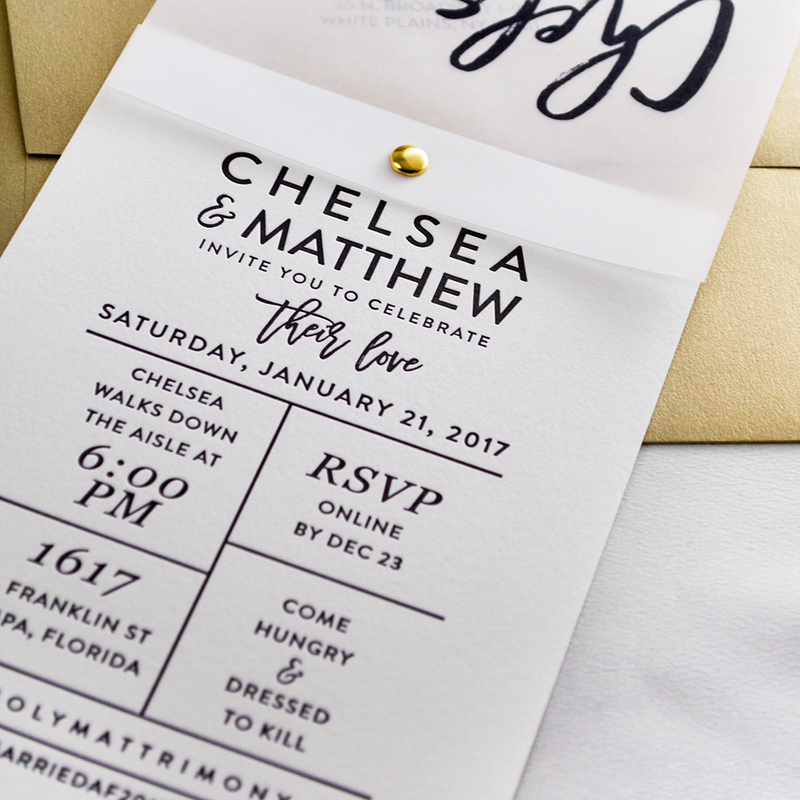 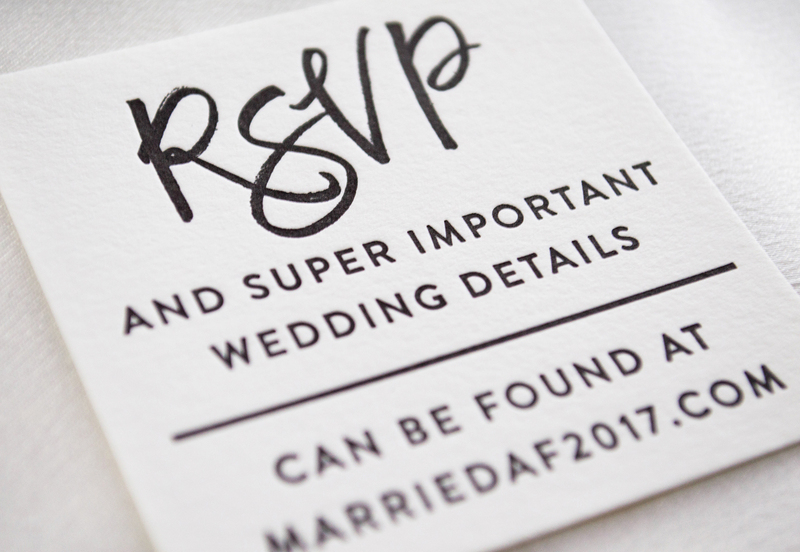 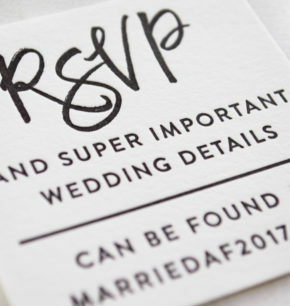 To add texture and dimension, we letterpress printed the invitation on cotton paper and used parchment paper for the cover layer. 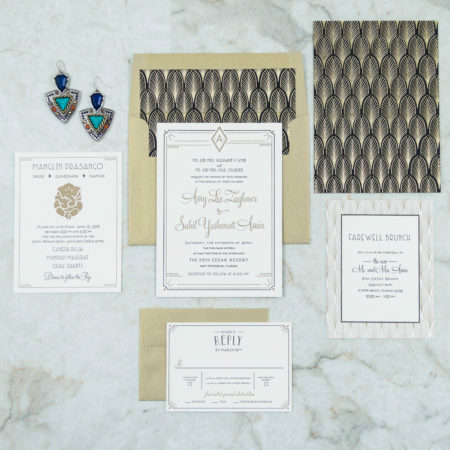 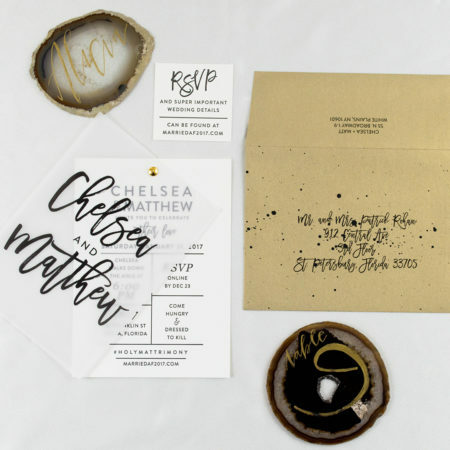 As a finishing touch, we paired each invitation with a gold leaf, pearlescent envelope and tastefully splattered black paint on the envelopes to add a whimsical and creative look.